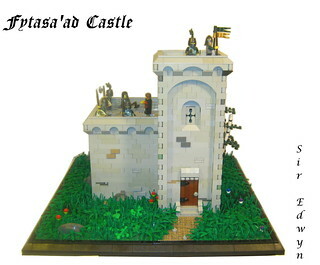 Classic-Castle.com • View topic - LCC-Lenfald Official Faction Thread. Here is my entry for the Fall in the Forest LC. Teherean wrote: Haven't had much time to really look at everyone's scores again because we're touring/recording with the band right now and because of the holidays. I'll have a look after christmas. When does the fall in the forest contest end? mpoh98 wrote: When does the fall in the forest contest end? It ended when CCCX ended. Judging is underway, but both me and Elderon are quite busy. I'm assuming points will be updated then as well? Because they haven't been updated for a couple of months! If you are snowed over, I'd be glad to help as unofficial faction lasion since medieval guy seems to have abandoned his post. I'm not exactly snowed over or anything. The points will be updated today or tomorrow. and indeed, I haven't seen MG in a while. It wasn't his duty to keep track of points in the first place, because I had to update the points in the thread post anyway. If you want to take over as (temporary) FL, pm me and we'll work out the details. It'd require some major changes in how we regularly do things in Lenfald, but it could work. Edit to prevent double posting, PLEASE READ: IMPORTANT! I've updated the score and member list on page 1. New members have been added with correct scores and titles. Please check if your current point amount is correct with your own records. For new members: It is important that I am regularly kept up-to-date with your LCC-builds! Oh, and to simplify things: All members who entered into the LC but did not receive confirmation messages: I'm sorry. Please concider your entries accepted! Fall in the Forests: the winners! Elderon and me deliberated for a while, but we reached an agreement pretty quickly. We saw some great activity from new members in this contest. Good job on that, and keep it up! A big thank you to all who entered and took the time to build something for this contest, and thanks to Elderon too, for helping me out in the judging process. This was a great contest, not to mention a great CCCX period with some of the best CCC-builds I've ever seen! Obviously, there has to be a winner, and Caelan takes the cake! Congrats to him, he wins a whopping 18 points for winning this contest! His entry can be seen by clicking HERE! The one and only Mitah! Congrats to you too buddy! View his entry by clicking HERE! That's all for that, folks! Thanks for entering, and see you in the next LC/GC! Leg Godt, and for Great Lenfald! Congratulations Caelan!!! Your entry was great. Good work to you also Mitah. Lots of thanks to Teherean for organizing the contest. It really expanded my building horizons and pushed me to think of interesting techniques. Here is the continuation of my charachters story. Back-story as usual is on flickr. Also I'm using this as a free-build for January as well. Re: LCC-Lenfald Official Faction Thread. Here is my first free-build for January. 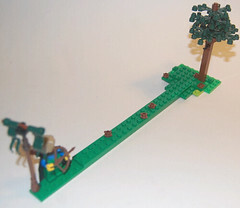 Story in the MOCs forum. One problem: I forgot to dd my factions colors to this MOC, and my Camera broke shortly after taking the pictures (The screen is all white and fuzzy, I had to go out and buy an SD Card reader to upload with ) Can you please, please still accept this? Thanks! Last edited by friskywhiskers on Tue Jan 29, 2013 4:36 pm, edited 1 time in total.